Facilitator: Fran Bourassa. Preregister by emailing secretary@rclas.com. Seating is limited to 10 only. Book/pay early to reserve your spot. Cost: RCLAS Members $25, Non-Members $40. 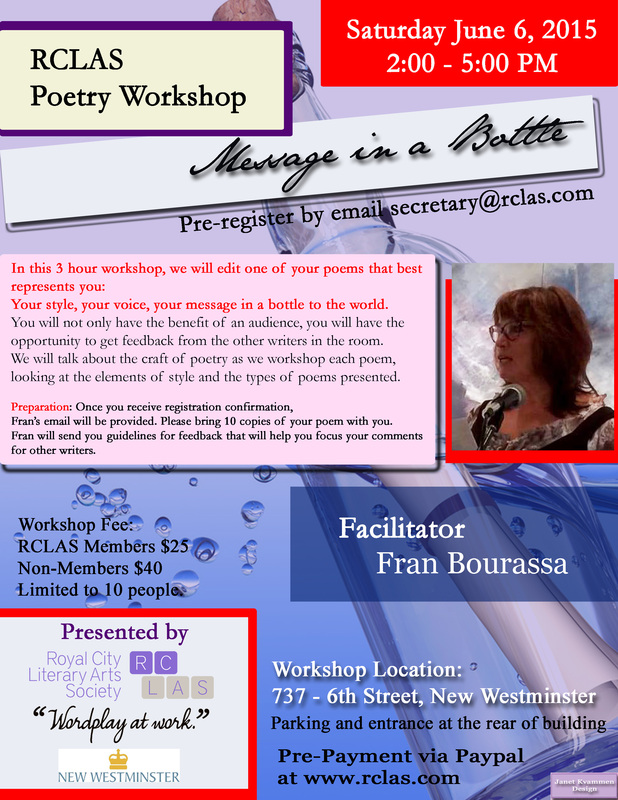 This is GREAT VALUE for an intimate 3 hour workshop with a renowned poet! In this 3 hour workshop, LIMITED TO 10 PEOPLE, we will edit one of your poems that best represents you: your style, your voice, your message in a bottle to the world. You will not only have the benefit of an audience, you will have the opportunity to get feedback from the other writers in the room. We will talk about the craft of poetry as we workshop each poem, looking at the elements of style and the types of poems presented. Preparation: Once you receive registration confirmation, an email address will be provided; please email your poem to the presenter and bring 10 copies of your poem with you. Fran will send you guidelines for feedback that will help you focus your comments for other writers. 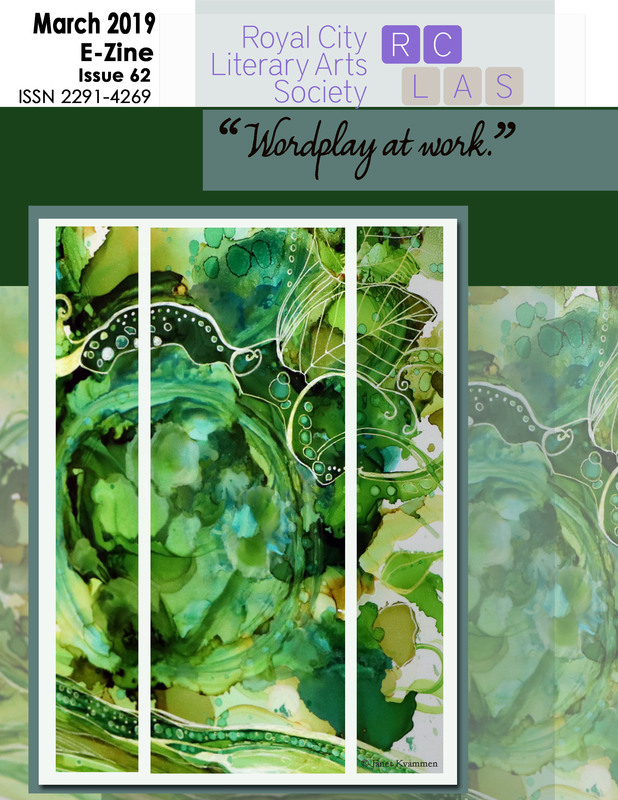 Posted in workshop and tagged Poetry, workshop, Writing on May 5, 2015 by rclasonline.